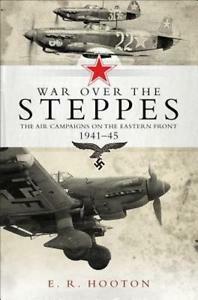 The air war over the Steppes was more than a brutal clash in which might alone triumphed. It was a conflict that saw tactical and technological innovation as the Soviet air force faced off against Herman Göring's Luftwaffe. As Germany and the Soviet Union battled for victory on the Eastern Front they had to overcome significant strategic and industrial problems, as well as fighting against the extreme weather conditions of the East. These factors combined with the huge array of aircraft used on the Eastern Front to create one of the most compelling conflicts of the war.